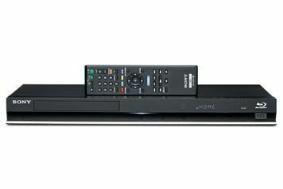 HOT DEALS: Bag a Blu-ray player bargain at Richer Sounds from £70 | What Hi-Fi? It's offering discounts on a selection of top-brand models, with prices from £70 while stocks last. You can choose from a Samsung BDP1580 at £69.95, Philips BDP7300 at £79.95, Pioneer BDP-120 at £99.95, Sony BDP-S370 at £129.95 and Sony BDP-S570 at £179.95. And if you need a multichannel receiver to provide surround sound, Richer is offering Sony's brand-new STR-DH810 for £279.95, and the Onkyo TX-SR608 for £439.95. Both have won a coveted five-star review from us, and are 3D-ready. Alternatively you might prefer an all-in-one home cinema in a box system: the Samsung HTBD1220 2.1 system is yours for £229.95, while the Samsung HTBD1252 5.1 set-up costs £299.95. Go to the Richer Sounds website for these and many more offers.